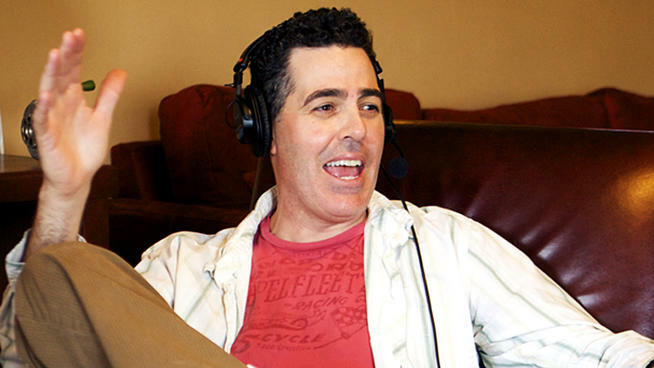 Adam Carolla is a Californian comedian and author with an estimated net worth of $16 million. He currently hosts The Adam Carolla Show, claimed by the Guiness World Records to be the most downloaded podcast. Carolla moved out of his parents' house at 18 and performed a variety of jobs after dropping out of LA Valley College. He volunteered to use his experience as a boxing instructor to help Jimmy Kimmel, then a host at a local radio station, train for an upcoming show-match with another radio personality. Kimmel and Carolla developed a strong friendship and Carolla began to take on more duties at the radio station, ultimately becoming the co-host of Loveline from 1995 to 2005. Carolla entered the world of television in 1999 when he and Kimmel created and starred in The Man Show, which ran until 2004. Carolla and Kimmel created Crank Yankers in 2002, a show in which prank phone calls made by comedians and celebrities were acted out by puppets. Carolla has appeared in a number of reality television programs including Dancing with the Stars and Celebrity Apprentice. The below financial data is gathered and compiled by TheRichest analysts team to give you a better understanding of Adam Carolla Net Worth by breaking down the most relevant financial events such as yearly salaries, contracts, earn outs, endorsements, stock ownership and much more.